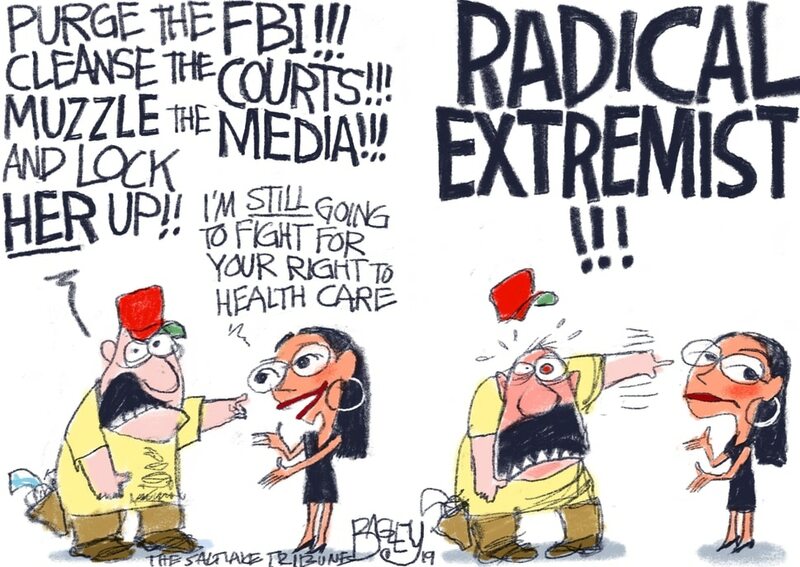 (Pat Bagley | The Salt Lake Tribune) This Pat Bagley cartoon, titled Radical Extremists, appears in The Salt Lake Tribune on Tuesday, April 9, 2019. (Pat Bagley | The Salt Lake Tribune) This Pat Bagley cartoon appears in The Salt Lake Tribune on Sunday, April 7, 2019. This Pat Bagley cartoon appears in The Salt Lake Tribune on Friday, April 5, 2019. 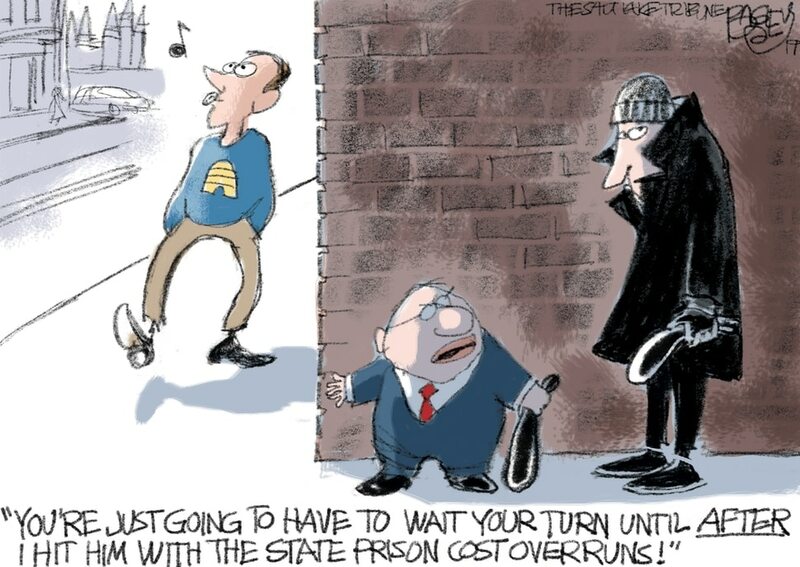 (Pat Bagley | The Salt Lake Tribune) This Pat Bagley cartoon appears in The Salt Lake Tribune on Thursday, April 4, 2019. 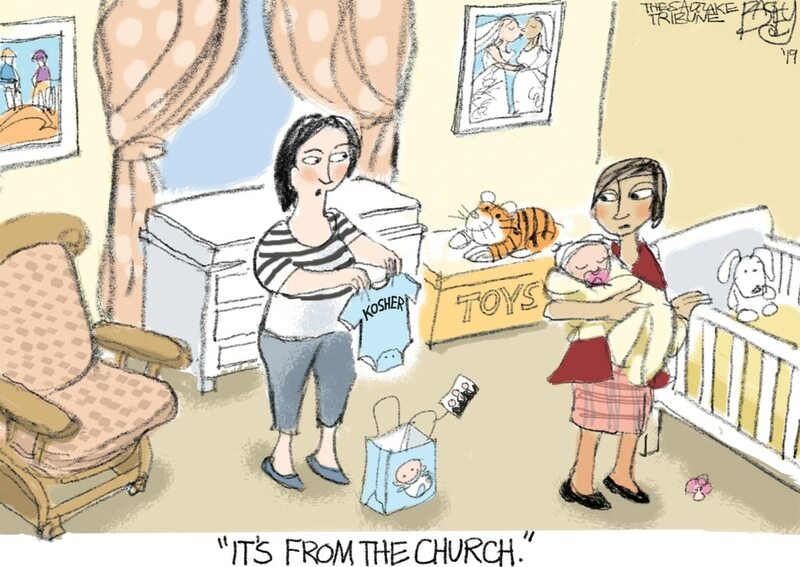 This Pat Bagley cartoon appears in The Salt Lake Tribune on Wednesday, April 3, 2019. (Pat Bagley | The Salt Lake Tribune) This Pat Bagley cartoon, titled Troubling Downturn, appears in The Salt Lake Tribune on Tuesday, April 2, 2019. This Pat Bagley cartoon appears in The Salt Lake Tribune on Sunday, March 31, 2019. This Pat Bagley cartoon appears in The Salt Lake Tribune on Friday, March 29, 2019. This Pat Bagley cartoon appears in The Salt Lake Tribune on Thursday, March 29, 2019. (Pat Bagley | The Salt Lake Tribune) This cartoon by Pat Bagley titled Our National Dinosaurs appears in The Salt Lake Tribune on Wednesday, March 27, 2019. (Pat Bagley | The Salt Lake Tribune) This Pat Bagley cartoon, titled No Collusion, appears in The Salt Lake Tribune on Tuesday, March 26, 2019.